Jonathan Pieslak does not work for, consult, own shares in or receive funding from any company or organization that would benefit from this article, and has disclosed no relevant affiliations beyond their academic appointment. Music doesn’t often factor into discussions of radicalism. Sure, we know that terrorists – and others who commit acts of political violence – listen to music, just like any of us. But it’s most often discussed as an aside (“Hey, did you know that the Islamic State has an anthem?”), rather than as a key component of their strategy, on par with attacks, financial resourcing, training, arms acquisition and leadership. My research suggests that we reconsider the fringe status of music and other forms of culture (like poetry, dress and rituals) when analyzing the allure and growth of radical groups. Having explored music’s role in such diverse groups as the Islamic State (IS), the American racist skinheads and eco-animal rights militancy, I argue that culture, specifically conveyed through music, is a profoundly important player in the framework of radicalism. One of the few non-Western IS foreign fighters to ever receive substantial media coverage was a Saudi by the name of Maher Mesh'al, who was killed in an airstrike in Hasakah, Syria this past summer. But it wasn’t his battlefield prowess nor his high rank in the chain of IS command that attracted media attention. 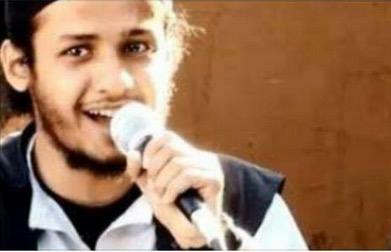 Rather, he was one of the most popular singers featured in Islamic State media productions and on the ground. There is a video of Mesh'al singing Ya Dalwat al-Islam live, in which the artist is seated comfortably on a couch with his rifle in hand and surrounded by a group of fellow jihadis who sing the call-and-response parts of the song. Clearly, they know the words. Mesh'al performs Ya Dalwat al-Islam. To be fair, the IS and Mesh'al would never refer to this as singing or music. Rather, they call Ya Dawlat al-Islam a nashid (pl anashid), which has poetic, rather than musical, origins. The group maintains a strict no-instruments mandate for anashid, a reflection of their literalist conceptualization of Islam, which forbids music. Nonetheless, for a group that supposedly prohibits music, IS makes a lot of noise. The logical question then becomes: why? Given the longstanding debate on the permissibility of music in Islam, why would they risk venturing into the theological minefield that music represents? If all of this is just “poetry with a raised voice,” why bother with melody, harmony and production techniques like delay, reverb – even autotune! – in Mesh’al’s Sawfa Namdi (“We will advance by way of the higher path”). Much of the answer has to do with the ability of music to infuse the messages of these songs with emotion. There are a number of distinct thematic threads that run through IS anashid. Among them: it’s a Muslim’s duty to defend the umma (the global community) and the true practice of Islam (read: only Jihadi Salafis who are by definition Sunni); Islam is under attack from corrupting outside influences (read: Westerners, Jews and Shia Muslims); the glorified past must be restored; and there is nothing more noble than to die in defense of Islam. Yet beyond animating ideology with emotion, it is music’s distinct ability to forge social bonds among members that makes it an indispensable part of a radical group’s propaganda strategy, IS or otherwise. Any number of scholars working on terrorism and political violence have noted that ideological commitment can sometimes run second to a terrorist’s sense of social bonding and their emotions. In other words, many members find immense value in the friendships they form, with shared musical experiences a way of cementing those bonds. Return to the video of Mesh'al singing with this understanding in mind. The camaraderie, smiles and laughter elicited by the singing are hard to ignore. So while not all individuals radicalize the same way, it may be just as much about how terrorists feel as what they think or reason. A group could possess dynamic leadership, brilliant tactics, abundant funding, flawless training and ample armaments, but if they cannot convince people that it is in their best interest to risk their lives and kill another human being, then terrorism simply doesn’t happen. Whether it’s within radical groups or mainstream American culture, we hear the same rhetoric, time and again: there is an outside influence threatening our group or cause; we are called to a righteous defense; there is something to fear, and we must stand up to fight to return to an idealized past. But these are just words. And throughout history, words don’t seem to impact us the same way as song. The music that accompanies campaign videos, ads and speeches will invariably be suffused with accompanying soundtracks, designed to touch the nerve of emotion. One need only look at how Tom Petty’s “Won’t Back Down” has been (ab)used in political campaigns over the years. Such a “confession” seems to explain why groups like the IS make so much noise. And it’s why American racist skinheads, eco-animal rights militancy and even contemporary American politics use music in highly similar ways.